They never actually intended to kill Mr. Griffin. But sometimes plans go wrong. Mr. Griffin is a strict and serious high school English teacher, with a passion for teaching. His students don't understand his teaching style so they decide to teach him a lesson in humility. Mark, Dave, Jeff, Betsy and Sue formulate a plan to kidnap Mr. Griffin and scare him a little but he ends up dead. 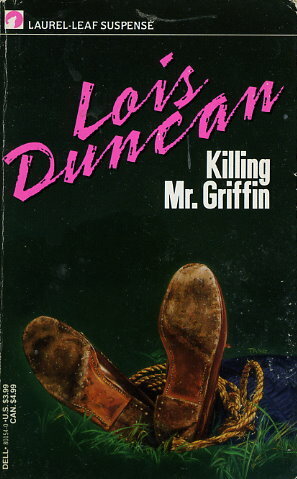 All the kidnappers have a distinct personality and it was interesting how they handles Mr. Griffin's death. Mark, the manipulative leader of the pack, was the most interesting character. He orchestrated the whole thing and managed to convince, otherwise good and well adjusted kids to go along with his scheme. I felt sorry for Mr. Griffin, he wanted to make a difference in the lives of his students but his personality made it difficult to connect with them.